For example, say you go to your nearby corner store and buy a raspberry ice cream on a hot summer’s day. The ice cream is yummy and cools you off, leaving you satisfied with your purchase. However, you think the ice cream does not hold a candle to a creamy scoop of Haagen-Dazs. Because Haagen-Dazs is perceived as a high-quality ice cream brand that gives you far more satisfaction that a cheap corner store brand does, the chances of your seeking out a Haagen-Dazs is much higher than those for the generic store brand. In other words, it is not just important to offer your customers satisfaction with their first conversion, you also need to convince them of the value of your product/service. A great way to convince people about a transaction is to make them feel that it was their idea to begin with and in control throughout the process. Personalization, with a twist, can help do that. Speed is a key to conversions. So highlighting the aspect of speed in your service delivery reminds the customer of how valuable your service is and helps keep them coming back to you. After all, over half of your visitors spend fewer than 15 seconds on a webpage, according to author Tony Haile. Also, Chad Summerhill wrote about how his website showed a 15% uptick in conversion rates when it decided to tune up site speed. Brands that depend on speed for their existence, like Domino’s and Google, realize this connection among customer satisfaction, perceived value, and loyalty. They built in clear signals reinforcing their perceived value to users even after the conversion has occurred. For example, Domino’s lets you track your pizza, which is still expected to be delivered in less than 30 minutes from placing the order. 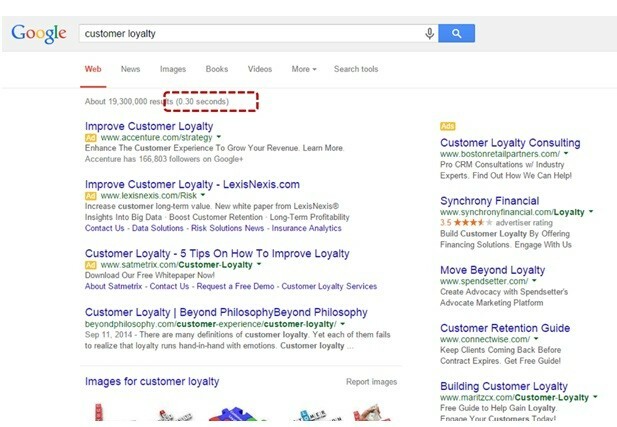 Another example is that Google shows you exactly how quickly your results were fetched, a key contributor to your choice of Google as a search engine in the first place. This second aspect of convincing users of the perceived value of your product is a matter of some smart communication. Therefore, speed + communication about the value of speed = loyal customers. Though Amazon’s Prime Air service might have some more time to take to the skies yet, the company has been reaping the benefits of same-day delivery for a long, long time now. Here’s an interesting nugget: Towards the end of 2012, Amazon found that simply displaying the “same-day delivery” option on a product page increased conversions by 20 to 25%, even though the service was used by a mere fraction of the converting audience. Studies show that one of the key reasons for customers to abandon a shopping cart is unforeseen shipping charges (or shipping charges that are perceived as too high). When you have managed to attract customers to your website, piqued their interest in your products, and gotten them to start a purchase process, it’s a real pity when the customer just quits midway due to a nasty shipping surprise. Avoid the pitfall of losing an engaged customer to shopping cart abandonment by offering customer friendly shipping policies. Take Warby Parker, for example. The pioneering eye wear brand puts the power of choice in the customer’s hands with some very creative shipping. With a unique Home Try-On option, the company ships five pairs of sunglasses to user to try on in the comfort of their home. The customer keeps the glasses they like and return the rest. Shipping both ways is free. 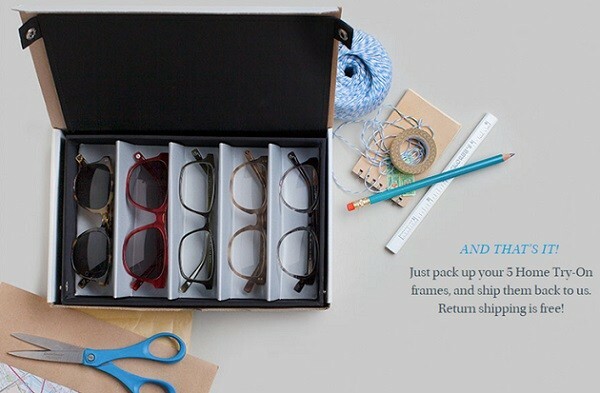 Even if you don’t think you need a home try-on, you still enjoy free shipping on Warby Parker. Now, free shipping may sound awesome from the customer’s perspective, but practical realities force most e-commerce players to charge their customers for shipping the goods that they buy. Does this mean some customers will be turned off and go for free shipping only sites? Possibly. But it’s not bad news all around. What’s worse than users abandoning their cart due to high shipping costs? Users who don’t mind paying whatever shipping you charge but is unable to pay because you didn’t support their payment option of choice. Offering multiple payment options can mean some extra expenses for you, but the cost of losing out an interested customer is far higher. Most e-commerce platforms these days offer a plethora of payment methods—credit cards, PayPal, gift cards, and more. Your users want to pay with Bitcoin? Go that extra mile and offer those too! 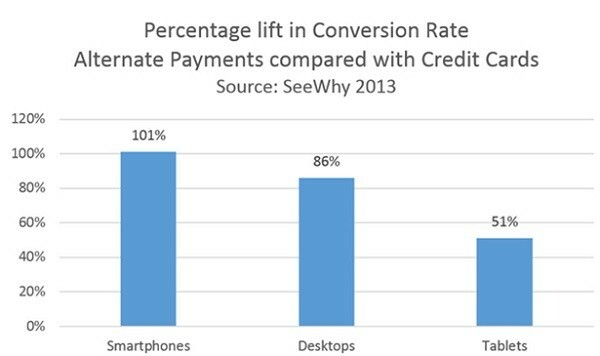 Do they prefer paying via mobile wallets? Offer Google Wallet payment support (Apple Pay hasn’t come to e-commerce sites yet). Those are not frivolous additions that add to your expenses. Studies show that every additional payment option that your site provides increases the probability of conversion by at least 14%. Customer satisfaction and perceived value in a product offering are strong predictors of customer loyalty. In the absence of these two basic criteria, customers will not hesitate to move over to a competing brand even when faced with switching costs.